This article describes how to make contact with your mlm leads. These are my favorite methods for reaching mlm leads. My answer is “Yes” you should call your leads. In fact, I suggest that you use as many reaching-out methods as possible to make contact with your leads. * Phone. Pros.. quick and easy. Allows you to develop a personal relationship with people. Cons.. prospecting phone skills are required. 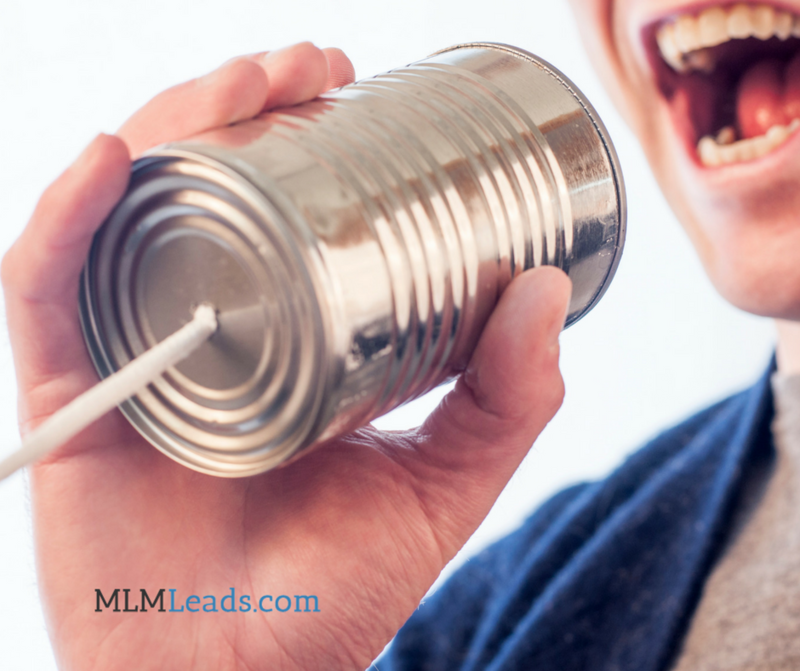 Log into your MLMLeads.com Member’s account to review the training, or find additional training on What to Say to Prospects here. * Voicemail. Pros.. quick and easy. Leave a little mystery to your voicemail to get a call back. Cons.. knowing what sort of message may take some time to figure out. Say too much or leave too many messages and you’ll sound needy. Personally, I don’t recommend leaving a voicemail message until after the 5th attempt at calling the lead. * Facebook. Pros.. you can find a lot of your prospects on Facebook. You can search by their name, phone or email address. Once you’ve found the prospect, send them a message so that they know who you are and that you’re getting back to them. Make yourself available to them as a real person would. Become a resource. Cons.. finding people on Facebook can be time consuming. Plan to do this during non-prospecting hours. Or outsource this work all together. * Text. Pros.. It is quick and easy to send and is often read right away. Cons.. a number of marketers are abusing this reaching-out method and ruining it for others. Soon people will be asking for a “Do No Text” registry similar to the “Do Not Call” registry. * Ringless Voicemail. While I don’t consider this a favorite, I’m including this method for commentary. Pros.. Quick and easy to send to mobile devices. High delivery rate. Cons.. a number of marketers are abusing this method to spam people so there’s the negative aspect of its use again. If you have a true optin list with phone numbers, then yes, this method could enhance your ability to reach out to those prospects. In summary, I do recommend that you follow-up with your prospects. Don’t limit yourself to just using email. Employ as many reaching out methods as possible. Try them all to learn which methods work best for you. The more methods you employ, the more prospects you’ll bring into your business. And when you’re ready for more prospects, drive MyAutoPilot Traffic to your lead capture page to generate exclusive leads for your business. Go here now to order. Could You Handle 2 Days a Year? Are Facebook Ads Tanking for MLM? Since 2003, MLMLeads.com has specialized in mlm leads, lead generation, network marketing leads, business opportunity leads, mobile apps and automated marketing systems for those that want to sponsor more distributors into their home business opportunity or network marketing business in less time without bugging friends and family. Sweetheart *Flash Sale* on MLM Leads Traffic Today! © Copyright MLMLeads, 2018. All Rights Reserved.